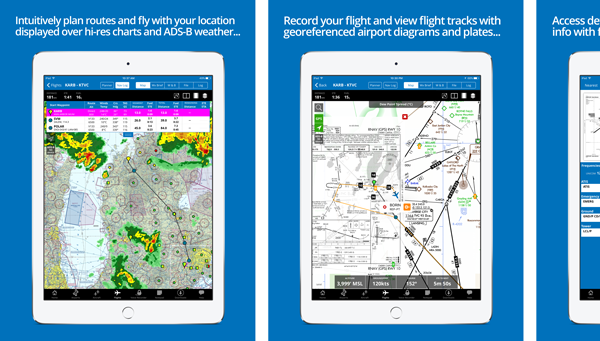 iFlightPlanner for iPad v3.0, now available! 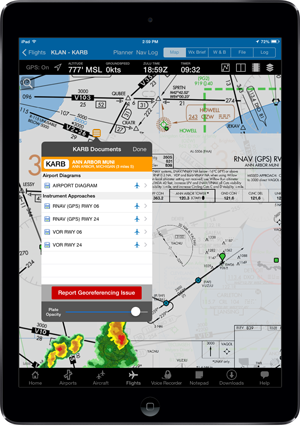 We built on our 4.7-star App Store rating with countless enhancements to the overall flight planning experience... now, iFlightPlanner for iPad v3.0 offers compatibility with ADS-B devices from 7 different manufacturers – Dual, Levil, Sagetech, SkyRadar, Stratux, L-3, and NavWorx. Click image for more App Store screenshots. ...all this and much more! New members are encouraged to take advantage of the 30-day FREE trial to iFlightPlanner Premium Plus, iFlightPlanner’s top-level membership. After the trial, pilots may elect to continue with an iFlightPlanner Free, iFlightPlanner Premium, or iFlightPlanner Premium Plus membership. 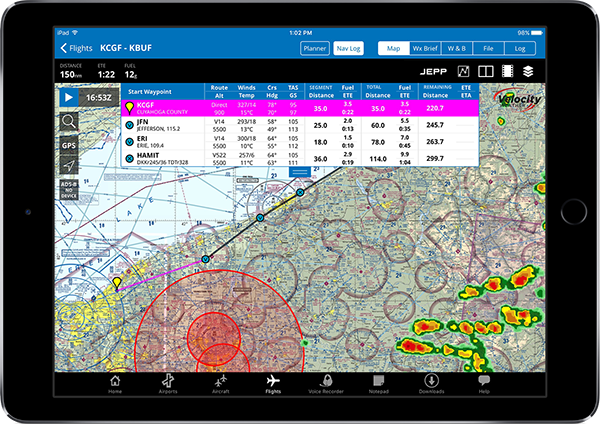 All memberships include comprehensive web-based flight planning, while premium members have access to enhanced features both online and in the app. For iFlightPlanner Free members, iFlightPlanner for iPad will provide view-only access to the flights planned at iFlightPlanner.com. 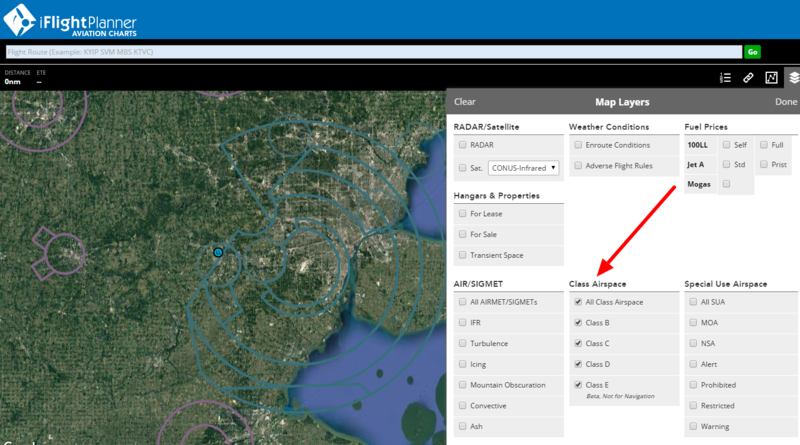 Visit www.iFlightPlanner.com/Features for a complete breakdown of every feature. 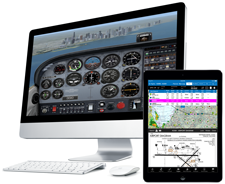 For a limited time, EAA members may purchase a full year of iFlightPlanner Premium Plus for just $74.99 (reg. 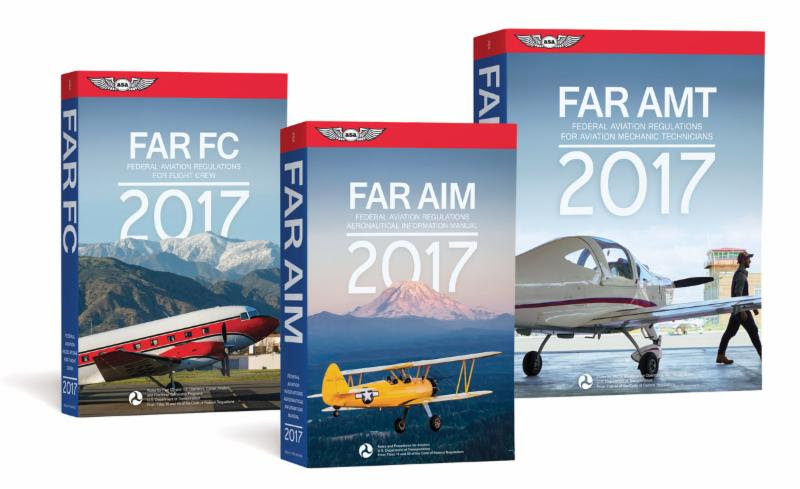 $139.99/year) through this month’s Barnstorming Deal at www.EAA.org. 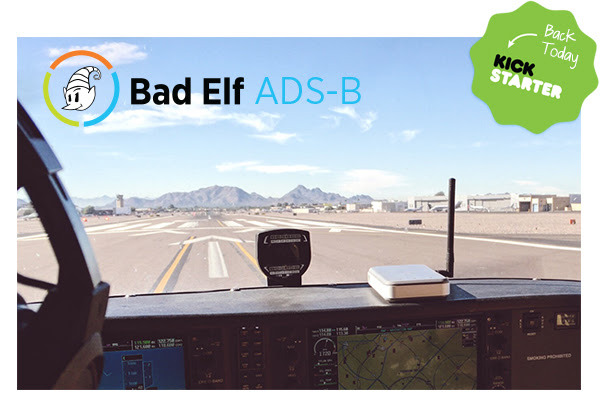 What ADS-B equipment is available for my aircraft? 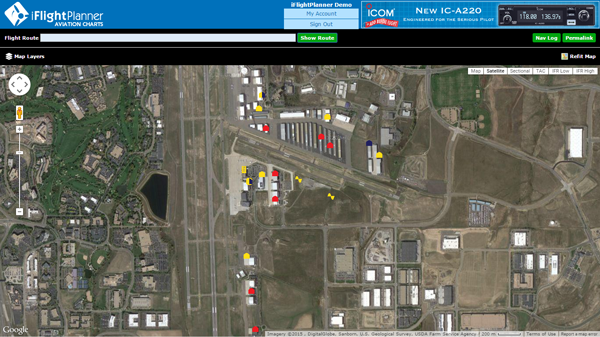 Search by aircraft make and model in this FAA database of ADS-B equipment designed to meet the requirements of 14 CFR 91.225 and 91.227, either as separate components or complete installation solutions. The database includes both FAA-certified equipment and equipment not yet approved. See Definitions Legend at the bottom of the page for additional details. 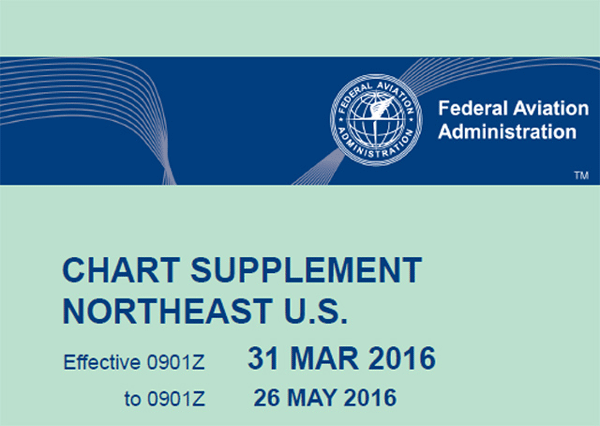 While all of the information provided in the publication will remain the same, the FAA’s familiar green Airport/Facility Directory is changing its official name with the March 31 editions to the "Chart Supplement" per a Charting Notice dated March 31, 2016. The newly named supplements for the lower 48 states, Puerto Rico, and the U.S. Virgin Islands will continue to contain complete airport data highlighting navigation, communication, weather sources, runways, obstacles, and other information necessary for safe flight. 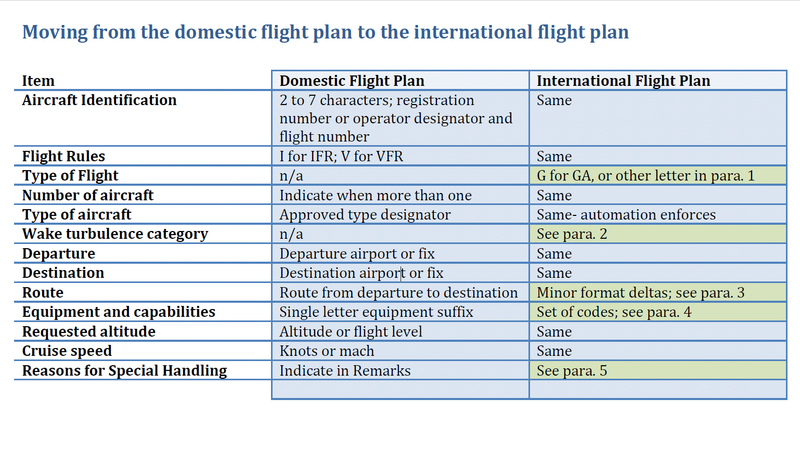 The FAA said the change will bring the Airport/Facility Directory in line with Interagency Air Cartographic (AICC) 8 specifications for printed products. Additionally, all knowledge tests, literature, and other references will soon reflect the new name, which has already been implemented for the country’s northwest region. The change will not effect the Airport/Facility Directory available online at iFlightPlanner.com/Airports or in iFlightPlanner for iPad. 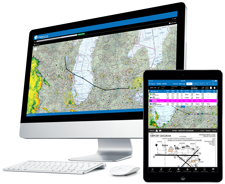 iFlightPlanner recently announced the availability of new functionality that allows pilots to create and save flight plan files for use in the new GTN 600 and 700-series avionics by Garmin. 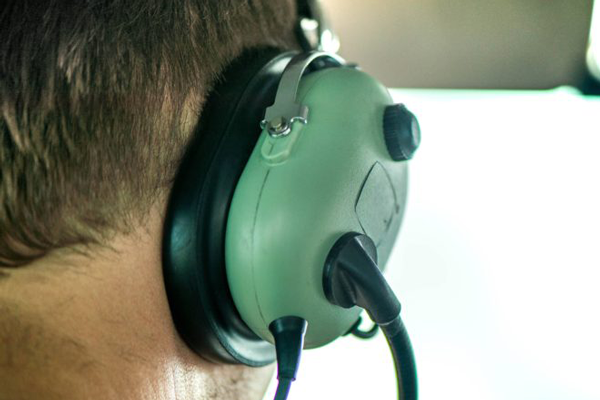 This innovative technology eliminates the need for pilots to manually enter complex routes. 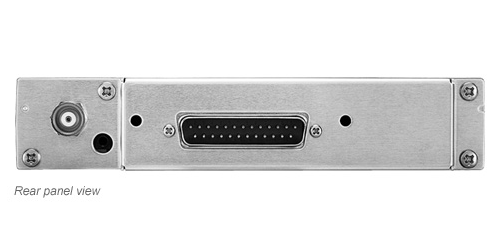 Instead, pilots can simply save a GFP file from iFlightPlanner.com to a compatible SD Card, then follow the step-by-step instructions found in the Garmin Pilot’s Guide for their particular unit to activate or store the route files. 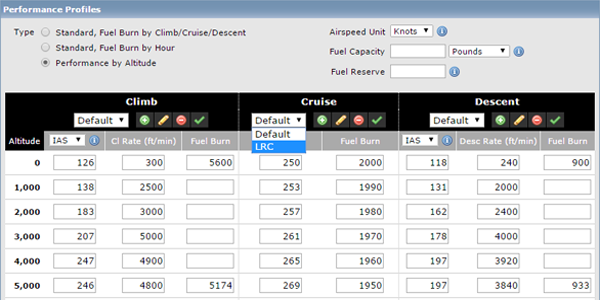 iFlightPlanner has been a leader in flight plan file creation since it first introduced this type of functionality for its members in 2012, with GFP compatibility building on iFlightPlanner’s existing FPL flight plan file creation for Garmin’s G1000 and 430/530 avionics packages. Collectively iFlightPlanner now supports five (5) different file formats – Garmin GFP and FPL, GPX, GPX for AvMap and the FMS flight plan file format used in the popular X-Plane Flight Simulator by Laminar Research. The GFP format is compatible with the GTN 625, 635, 650, 725 and 750 models running software version 5.10 or later and requires an iFlightPlanner Premium or Premium Plus membership. It should also be noted that the GFP must be saved to a folder named “FPL” on the root of the SD Card as that is where the GTN models will look for the files. 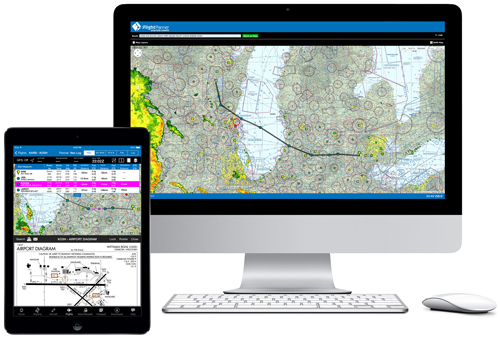 iFlightPlanner Premium memberships with route export capabilities start at just $9.99/month and include access to iFlightPlanner’s cloud-based flight planning technology across all of its platforms, including iFlightPlanner for iPad. iFlightPlanner Free memberships are available with no obligation and allow pilots to leverage much of iFlightPlanner’s web-based technology with limited, read-only functionality on the iPad. A one-time, 30-day free trial to iFlightPlanner Premium is available via the App Store. The iFlightPlanner Crew will be in Lakeland, FL at SUN ‘n FUN from April 21–26 in Booths D-011 and D-012. Pilots are encouraged to stop by for their personal demonstration or visit https://www.iFlightPlanner.com for more information. Dovetail Games gave flight sim fans a lift for the holiday season with the announcement that Microsoft Flight Simulator X: Steam Edition will launch on December 18 at a spectacular introductory price. The USGS, along with numerous state and federal partners, has launched the 3D Elevation Program (3DEP), an effort to chart all 50 states with airborne lasers (lidar) or radar (ifsar). The new technology permits astonishingly precise measurements of terrain, buildings and roads, waterways, coastline, even vegetation, right down to individual plants. Alaska, it turns out, has never been mapped to modern standards. While the U.S. Geological Survey (USGS) is constantly refining its work in the lower 48 states, the terrain data in Alaska is more than 50 years old, much of it hand-sketched from black-and-white stereo photos shot from World War II reconnaissance craft and U-2 spy planes. Errors abound. Locals tell of mountains as much as a mile out of place. Streams flow uphill, and ridges are missing because a cloud happened by when the photo was taken. Mars is better mapped than the state of Alaska,” said Steve Colligan, president of E-Terra, an Anchorage mapping firm that specializes in aviation safety. 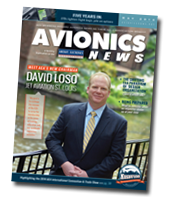 The August 2014 digital issue of Avionics News Magazine is now available! Marketplace classifieds and much more! For more information on the Aircraft Electronics Association visit http://www.aea.net/. 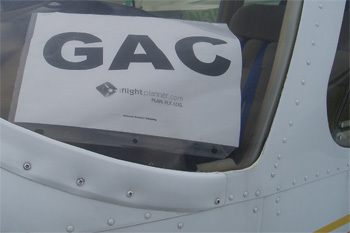 Each year, the AEA publishes the Pilot's Guide to Avionics, a publication of the Aircraft Electronics Association, features articles aimed at helping pilots make better avionics buying decisions and to locate the repair stations certified by international regulatory authorities as capable of installing and maintaining these sophisticated pieces of equipment. The 2014-15 edition of the AEA’s Pilot’s Guide to Avionics debuted during AirVenture 2014 and was available for free at AEA's AirVenture Booth, 2035/36 in Hangar B. 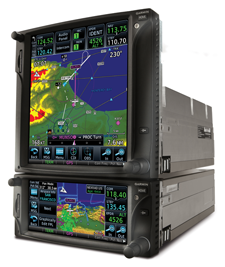 It also can be found at NBAA and at any AEA Regional Meeting this fall. iFlightPlanner is built on a foundation of pilot feedback, and there is no better place for pilots to have an open forum with the iFlightPlanner Crew than at AirVenture! Join Co-Founders Andy Matthews and John Burnside on Wednesday, July 30 at 4:00PM as they host an interactive proficiency seminar demonstrating the core features and latest enhancements to iFlightPlanner.com and iFlightPlanner for iPad that will allow you to plan more efficiently and fly safer! 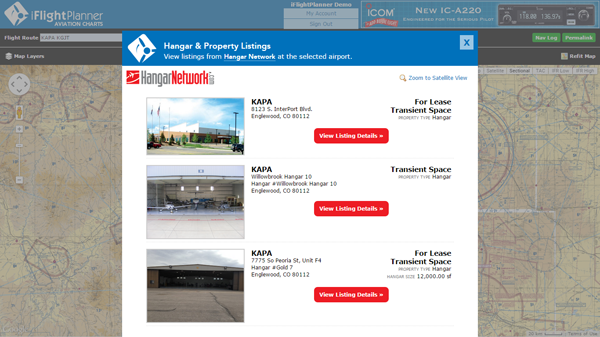 Visit iFlightPlanner in Hangar B, Booths 2028 & 2029 or the EAA Airventure Forum Schedule for more info! The award-winning creators of the best-selling Train Simulator franchise have today announced a global licensing deal with Microsoft, granting them the rights to develop and publish all-new flight products based on Microsoft’s genre-defining flight technology. 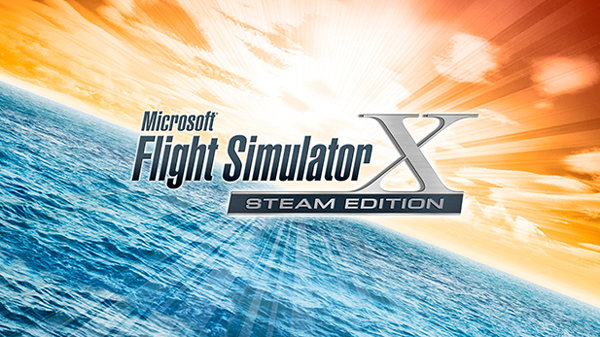 First released in 2006, Microsoft Flight Simulator X is widely acknowledged as one of the most popular simulation products on the market. Microsoft Flight Simulator X: Steam Edition will include the Deluxe Edition and the Acceleration Expansion Pack in one bundle. Dovetail Games will bring Microsoft Flight Simulator X: Steam Edition to the Steam online gaming platform for the first time in late 2014. With the release of iFlightPlanner for iPad v2.0, you have the ability to connect your iPad to Flight Simulator X via a plugin called FSX Flight. 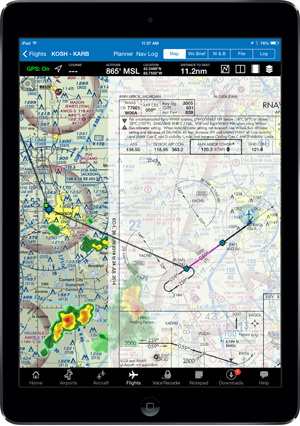 Once in the virtual cockpit, FSXFlight will push all simulated GPS data to iFlightPlanner for iPad via networked WiFi connection and force the iPad to behave as if it were flying in the same airplane. Aircraft Spruce customers who need merchandise and will be attending AirVenture can save the shipping costs by picking up orders at the show. Since only a limited amount of stock can be brought to Oshkosh, Aircraft Spruce is encouraging you to place your orders for the AirVenture Show by phone, fax, or online ahead of time. Orders will be processed as normal with payment via credit card, but instead of shipping the order to you, they will place it on their truck and bring it to the Aircraft Spruce Oshkosh booths (Hangar A, Booths 1022 to 1029) for you to pick up, with no shipping charges! 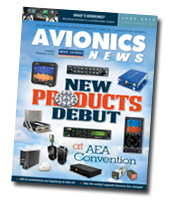 The June 2014 digital issue of Avionics News Magazine is now available! iFlightPlanner officially announced today that the Jardur Watch Company has been named the exclusive timekeeper of iFlightPlanner and will be the presenting sponsor of the official ZULU (GMT) time found across iFlightPlanner’s web-based flight planning products. The Jardur Import Company, established in 1937 in New York City, quickly earned its reputation among U.S. military and professional pilots as one of the most trusted manufacturers of aviation watches and navigation plotters available. Management of precise time is critical to the success of every mission for this special class of users for whom the brand catered to. In fact, Jardur was so highly regarded among them that Lieutenant Colonel James "Jimmy" Doolittle was presented with a Jardur Bezelmeter 960 by James Howard “Dutch” Kendelberger (former President of North American Aviation) in recognition of his leadership and planning of the April 18, 1942 “Doolittle Raid” on Tokyo, Japan. 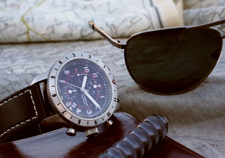 The first aviation chronograph launched under the revitalized Jardur Watch Company, the Degreemeter, pays homage to the original World War II era Bezelmeter 960 while incorporating all of the advancements in materials, manufacturing methods and design features which comprise state-of-the-art watchmaking. 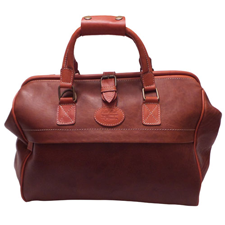 The Degreemeter along with the ZULU, the next model to be released in Jardur’s Escadrille series, will be available for purchase in the iFlightPlanner Shop and from the Jardur website, http://www.Jardur.com. For more information about the Jardur Watch Company and its Escadrille series of aviation chronographs, please visit http://www.Jardur.com. 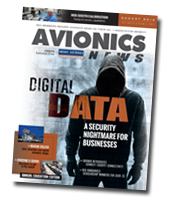 The May 2014 digital issue of Avionics News Magazine is now available! 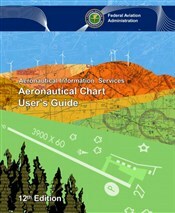 FAA Data Update for 05/01 Cycle, All-New Charts! 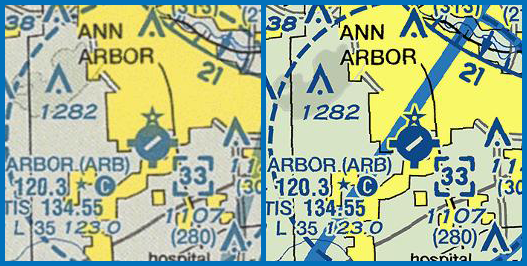 Official FAA data for the 05/01/14 cycle was updated today at 09:01Z, including airport diagrams, approach plates and all-new charts! 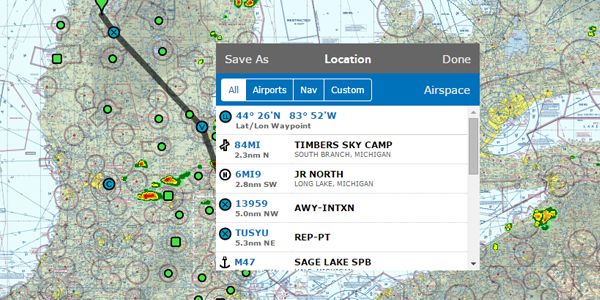 In conjunction with the FAA's recently updated Sectional chart format the iFlightPlanner Crew completely redeveloped its proprietary chart processing software, resulting in higher resolution and more accurate georeferencing for all of its charting products. 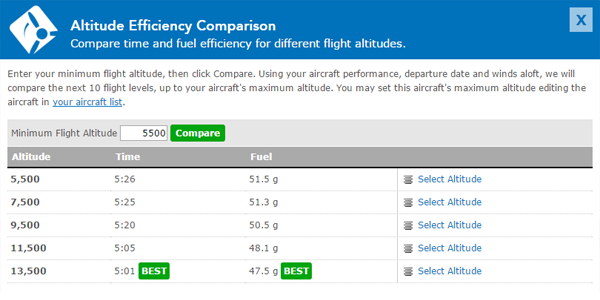 Anytime you access iFlightPlanner.com or mobile.iFlightPlanner.com you can be confident that you are seeing the most current and accurate data available. To ensure that iFlightPlanner for iPad is current, simply tap "Check for Updates" in the upper-left corner of the Downloads tab. The app will quickly tell you which files need to be updated! ADS-B is now installed nationwide, the FAA announced Monday, although services won't be available at all air traffic facilities until 2019. "The installation of this radio network clears the way for air traffic controllers to begin using ADS-B to separate equipped aircraft nationwide," said FAA Administrator Michael Huerta in a statement. "It will also provide pilots flying aircraft equipped with the proper avionics with traffic information, weather data and other flight information." Of the 230 air traffic facilities across the country, 100 are currently using ADS-B to separate traffic, according to the FAA. 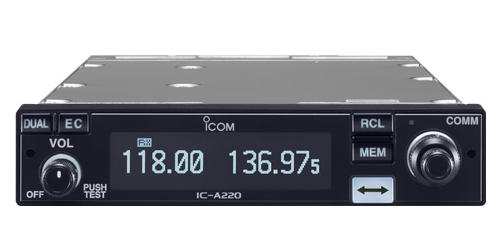 All aircraft operating in controlled airspace must be equipped with ADS-B Out avionics that broadcast the plane's location by Jan. 1, 2020. 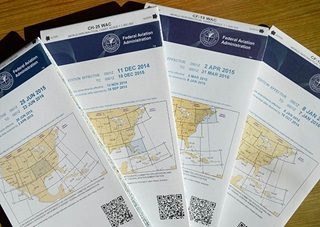 Beginning with the April 3, 2014 data cycle, the Federal Aviation Administration (FAA) began distributing new, high-resolution digital charts. 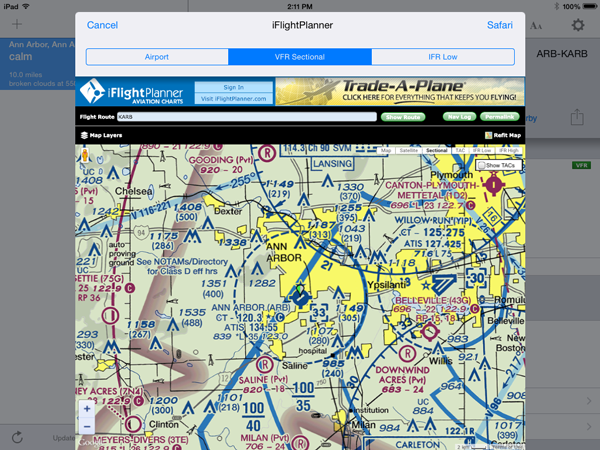 Electronic flight planning resources, including iFlightPlanner.com, iFlightPlanner for iPad and all iFlightPlanner competitors who use the AeroNav Office's digital charting products benefit from the new production process. Previously, digital charts were distributed as scans of the actual paper charts that are sold by your local pilot shop. The AeroNav Office is now, in the simplest of terms, distributing the original graphics files that would be used to print the paper chart. The new process removes a time consuming step that also caused a significant loss in image quality, and the results are quite dramatic! We know you'll enjoy the new visuals. Should you have any questions about the new charts please do not hesitate to contact us, we'll be happy to share any insight! 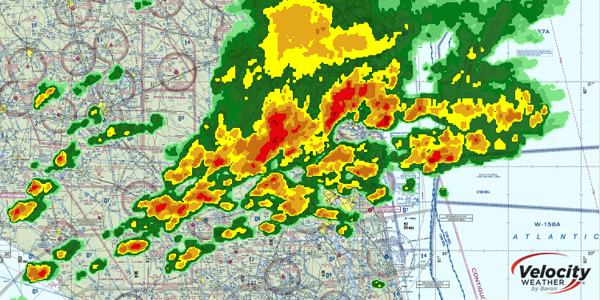 iFlightPlanner Widget: Now on General Aviation News! 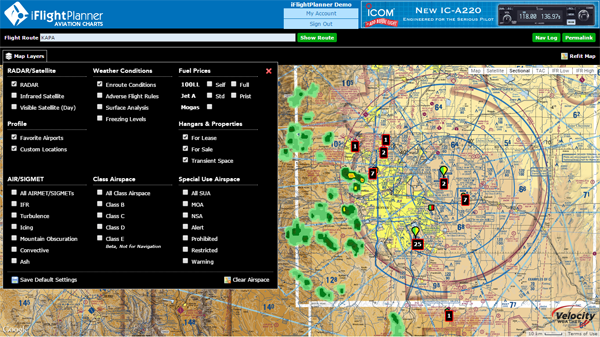 iFlightPlanner announced today the availability of the iFlightPlanner Widget on GeneralAviationNews.com. Pilots and aviation enthusiasts who are signed in to their iFlightPlanner Free or Premium account gain 1-click access to a complete Airport/Facility Directory, Weather Center and seamless Aviation Charts through any website that hosts the iFlightPlanner Widget. 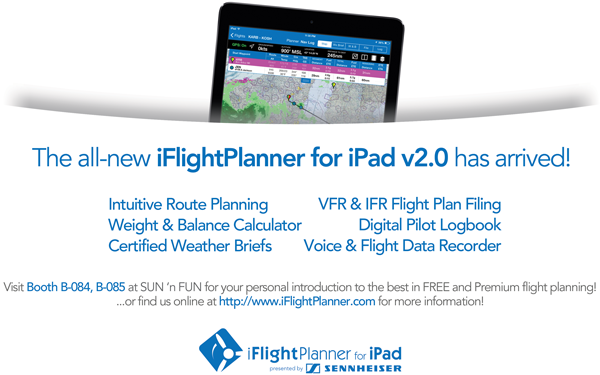 If you are not yet an iFlightPlanner member head to https://www.iFlightPlanner.com/Join and create your Free or Premium account for access to the iFlightPlanner Widget, as well as our fully-integrated flight planning solution featuring iFlightPlanner for iPad presented by Sennheiser. On Friday, March 14, Textron announced the acquisition of Beechcraft complete, which integrates the Cessna, Beechcraft and Hawker aircraft brands into the new “Textron Aviation” business segment. The acquisition brings together three iconic brands, each pioneering many of general aviation’s most notable advances in the past century. Cessna, Beechcraft and Hawker bring 200-plus years of combined aviation experience to the market and an installed customer base of more than 250,000 airplanes worldwide. 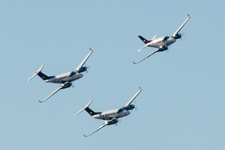 Cessna and Beechcraft together produced about $4.6 billion in revenues during 2013. Going forward, Textron Aviation intends to share and leverage best practices across all operations to further its position as an aviation authority. Scott Ernest, who has served as Cessna’s President and CEO since 2011, will lead the Textron Aviation segment as CEO. The FAA and EASA have certified the first lithium ion battery for engine start and main ship use in light aircraft. 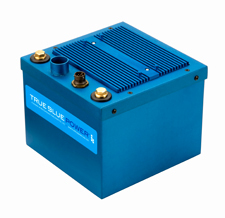 Mid-Continent Instrument announced at HAI Heli-Expo Tuesday that the TrueBlue TB17, a 17 amp hour battery designed for piston and light turbine aircraft, is now available for OEMs to incorporate into new aircraft. The battery will not be available as an aftermarket item, at least at first. The company is also developing a 44 amp hour lithium ion battery for the business jet market. Will 406 MHz ELTs be Mandatory in 2022? The White House, with the apparent blessing of the FAA, is urging the FCC to make 406 ELT equipage in aircraft mandatory by 2022. 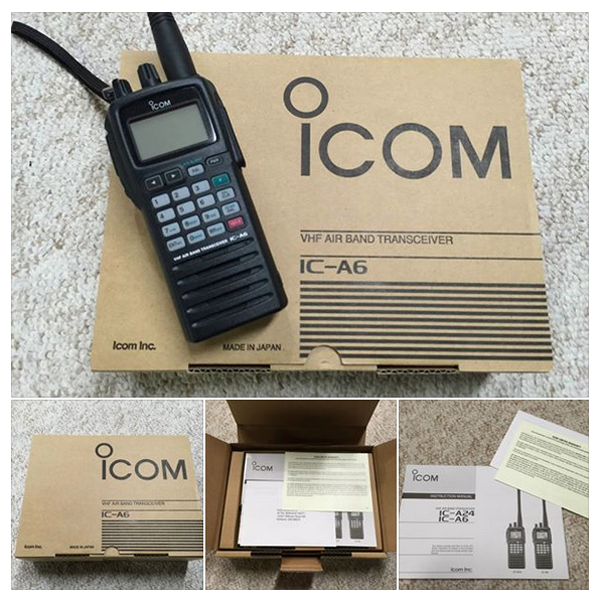 In comments filed with the FCC on Feb. 5 (PDF), the National Telecommunications and Information Administration (NTIA) recommended the FCC get moving on its plan to eliminate 121.5 MHz-only ELTs but to give aircraft owners up to eight years to make the transition. 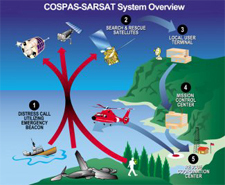 The NTIA, which represents the executive branch's view on telecommunications policy, said it consulted with the FAA and the Search and Rescue Satellite Aided Tracking program (SARSAT) in making the recommendation. The filing of the document may mean the FCC is getting ready to implement a final rule on the disposition of 121.5 MHz ELTs, a process it started in 2010 with a Notice of Proposed Rulemaking that caught most aviation organizations, including the FAA, by surprise. 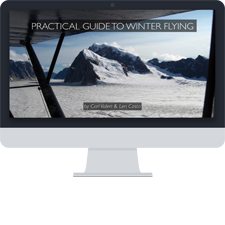 For about the cost of 1-hour of flight instruction, The Practical Guide To Winter Flying will not only teach you how to manage encounters with ground and in-flight icing, but also provide you the tools to make smarter decisions so that you fly confidently during the cold, winter months. The course delivers on the real world experience of two flight instructors and their cold weather operations knowledge from flying as airline captains and is worth a look! We've partnered with the guys at StuckMicAvCast.com to promote this resource and encourage you to check it out! Let us know what you think and feel free contact us if you know of other educational resources that you've found helpful in your flying that we can share with the iFlightPlanner Community as well!